Lunarpages is one of the oldest web hosts in existence. Starting from humble beginnings in a garage in California (isn’t that how this story always goes?!) in 1998, to growing a customer base of over 150,000 people, including clients such as Microsoft, BlackBerry, Cisco, Sony, Caesar’s Entertainment, and more. They were founded by Maximillian Andersen and Ron Riddle, a Harley Davidson-riding former brick mason (yes, you read that right). Today, Lunarpages has data centers in California, Arizona, and Nevada. A quick glance at that illustrious client list gives you the impression they know what they’re doing. So, do they? To find out, we set up a basic WordPress website on the Lunarpages ‘Starter Web Hosting Plan’ in June 2015. 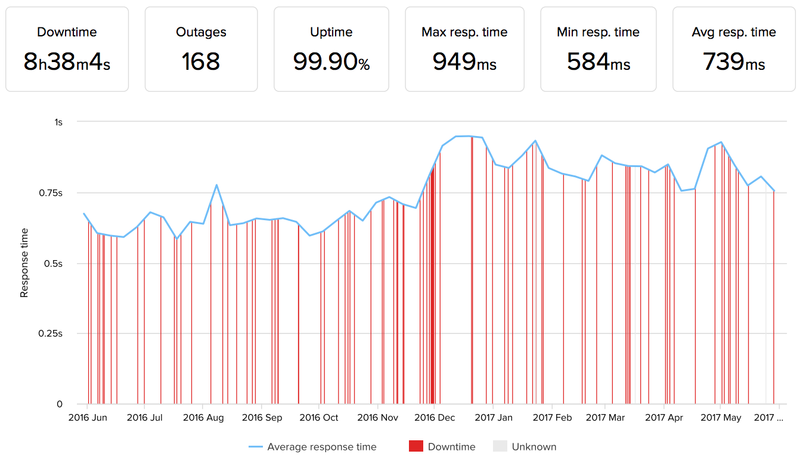 Since then, we’ve been analyzing performance like uptime & speed (click “History” to see the data for yourself). Lunarpages has a few great things going for it. Speed, for one. Nightly backups too. Here’s a snapshot. Lunarpages came out of the gate with average page loading times of 801ms, about 32% faster than the average 1185ms we’ve seen. That’s important, because speed also had a huge bearing on other factors like where you rank in search engines and the number of people converting on your site (in addition to the obvious user experience). Your site is almost finished. You just need that one extra plugin to power that special functionality you’re lacking. Problem is, it doesn’t play well with others. The minute you hit ‘install’, the screen goes white. And… nothing. This is an all-too-familiar occurrence for most site owners, as different third-party tools (like plugins) don’t play well together. The good news, is that Lunarpages will run automated nightly backups of your server. Their Premium Restore Service will also restore files for you — on a priority basis — and at no cost. Many web hosts will play this game of offering a low monthly rate on their website, only to reveal the real terms of that pricing in the final checkout process. Often, you’ll have to purchase three years, upfront all at once if you’d like to lock that low pricing in. And many times, upon plan renewal, your pricing will jump back up to the ‘normal’ rate (which can sometimes be 2x the price!). While Lunarpages doesn’t offer a true month-to-month plan (which is kinda a bummer), their Starter ‘monthly’ pricing is the same for 12 months as it is for 24 months. 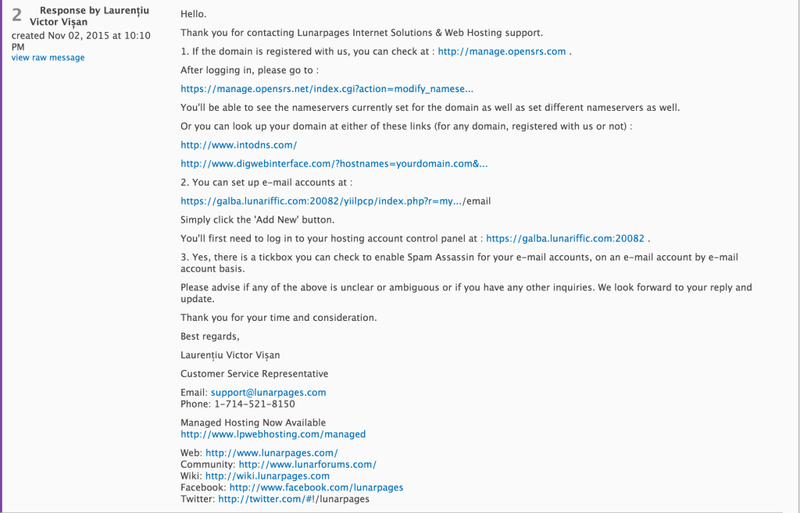 Some of Lunarpages’ plans come with a free domain name registration (that needs to be redeemed within 30 days of signup). Please note that like other hosts, this only covers the first year of the domain name (and any renewals will come out of your pocket). And if your existing website is currently being hosted somewhere else, Lunarpages will help you transfer it to their servers for free. Lunarpages’ plans are also backed by a standard 30-day money back guarantee. 6. Offers great up times – 99.99%! Since we signed up with LunarPages they have offered very good and reliable up times. The up times been very stable. The worst we’ve seen by them is 99.98%, which is way much better than our industry average(99.79%). Page loading speeds have gone really bad by LunarPages, but they still offer one of the best up times in the industry. Holding our website on 100% 5 times out of 12 in the last 12 months. Overall, their average uptime is .20% better than the industry average uptime of 99.79%. Lunarpages provided great page loading times and fantastic uptimes. They also threw in a few helpful features. Unfortunately, though, there are some grievances we can’t overlook. Here are the grim details. Almost every other host we’ve reviewed provides a HUGE variety of ways to get in touch with them for fast customer support. Almost every single one offers live chat for instance, so you can reach out and get in touch ASAP if there’s a problem. After all, responding to issues quickly and efficiently to keep your site up-and-running is an integral part of what you’re paying them for. Lunarpages has live chat… but it’s only available for sales – not customer support. The only way we could reach out to them was through their archaic ticketing system. Their ticketing responses were great, but it took 12 hours to hear back from them! That’s a LONG time on the internet, and if a website was down and not making money during that entire 12-hour window, it could have serious ramifications for many businesses. A background check revealed that many existing customers were also not very satisfied with their support either. Lunarpages was founded back in 1998 and honestly, it seems like their website hasn’t been updated very much since then. It’s difficult to navigate and find helpful (read: usable) information. Most of the content on their site is very technical and unusuable for many outside of IT (read: the majority of their Shared hosting customers). Overall, finding what you need on their site is a very frustrating, tedious process. Almost all the companies we’ve reviewed (going on ~30 now) will help you setup your site for free. But not Lunarpages, who will charge you a fee. cPanel access on most shared hosting plans is almost a given, considering it appears literally everywhere and is pretty standard. But Lunarpages will charge you for it if required. It’s only two bucks a month, however, this is still a complementary feature with most other hosts. Most hosts promise ‘unlimited’ features. But that’s rarely the case. Lunarpages is no different, with our research uncovering that users can be suspended due to ‘high resource usage’. While their server configuration reasons might be valid, it would still come as quite a shock to wake up one morning, attempt to login to your website and notice that your site’s been suspended with no notice. It seems like just a minute ago we were singing Lunarpages’ praises because of no pricing games on their ‘Starter Plan’. Unfortunately, these do show up on their Basic Website Hosting, which is considered a ‘step-up’ from their Starter Plan. It’s also worth noting that the pricing for the Basic plans, relative to other companies, is expensive. Windows Web Hosting: Their “Windows” web hosting starts at $9.95 per month. It comes with unlimited storage, unlimited bandwidth, unlimited email accounts, unlimited MySQL databases, and unlimited sub domains. It comes with Plesk Control Panel included. Starter Web Hosting: Their “Starter” hosting starts at $4.95 per month. It comes with 5GB storage, 50GB bandwidth, 1 MySQL database, 5 email accounts, unlimited sub domains and a free site seal. Basic Web Hosting: Their “Basic” hosting starts at $4.95 per month and includes unlimited storage, unlimited bandwidth, unlimited email accounts and unlimited MySQL databases. It also comes with a free domain name. You need to pay for 60 months at once to enjoy the $4.95 per month rate: the minimum term you can pay for is three months, which costs $10.95 and a $30 setup fee. Ease of Signup: Lengthy signup process. Payment Methods: Credit Card, PayPal, Alipay, Check, Money Order. Hidden Fees and Clauses: An account may be suspended if it is using “too many server resources.” Unfortunately, they do not seem to explain what they mean by “too many server resources” anywhere on their site. Control Panel and Dashboard Experience: cPanel. Which you have to pay for. Installation of Apps and CMSs (WordPress, Joomla, etc. ): Quick and easy installation of popular apps and CMSs with Softaculous. DreamHost has many features to satisfy your personal- and business-related web hosting needs. The company’s shared, WordPress, virtual private server (VPS), cloud, and dedicated plans offer plenty of options for webmasters looking to create attractive, flexible sites. In addition, DreamHost’s website building software makes site creation a simple task. As a result, DreamHost stands at the front of the pack with HostGator and Hostwinds as our Editors’ Choice picks. DreamHost’s tierless shared web hosting plan (starting at $10.95 per month, or $9.95 per month with a one-year commitment) offers unlimited disk storage space, domains, email, and monthly data transfers. DreamHost gives you your first .com, .net, .org, or .info domain for free, but you have to pay the registration fee for additional domains. Most competitors, including HostGator (the Editors’ Choice for shared hosting), offer unlimited domains only as part of their higher-tier plans, which makes DreamHost particularly attractive. That said, HostGator is one of the few web hosts I’ve reviewed that offers Windows-based shared web hosting. That’s a big deal, as there are many businesses that require Microsoft’s operating system to run specific software. DreamHost, on the other hand, only offers Linux-based servers. HostGator also offers unlimited monthly data transfers, storage, and email. DreamHost offers four Linux-based VPS web hosting plans (starting at $15 per month) for businesses that need more power or expect higher traffic volumes. 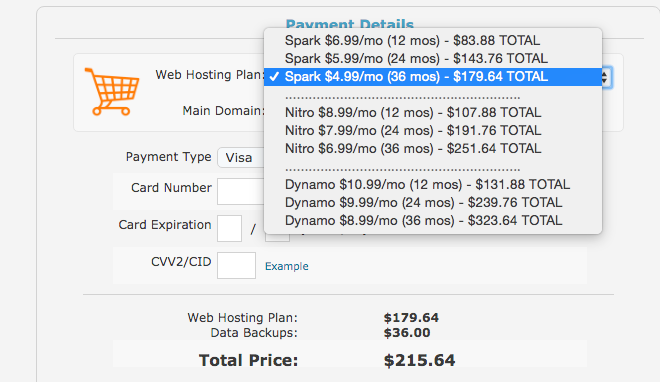 DreamHost’s VPS plans offer unlimited monthly data transfers and domains, which is a nice perk. However, the base memory and storage is quite low; the $15 per month plan offers only 1GB of RAM and a 30GB solid-state drive. On the other hand, the highest configuration ($120 per month) maxes out at 8GB of RAM and 240GB of solid-state storage. Still, Hostwinds, PCMag’s top pick for VPS hosting, has wallet-friendly, well-rounded VPS offerings that start at just $7.50 per month for 1GB of RAM, 25GB of disk space, unlimited monthly data transfers, and unlimited email. Hostwinds’ plans scale to $129 per month for 18.5GB of RAM, 130GB of disk space, unlimited monthly data transfers, and unlimited email. Note: DreamHost lacks Windows-based VPS servers. Dedicated server options (starting at $169 per month) on DreamHost aren’t radically different from what many competing web hosting services offer—you get 1TB of storage and can configure the servers with up to 16GB of RAM—but you get a highly desired feature: unlimited data transfers. Unfortunately, DreamHost lacks Windows-based dedicated servers; it’s Linux or bust here, too. If you want a build a website using Microsoft’s operating system as a foundation, I suggest checking out Hostwinds, PCMag’s Editors’ Choice for dedicated web hosting, which offers Linux and Windows dedicated server options. You’ve probably heard of cloud hosting, which spreads resources across multiple servers (traditional hosting pulls resources from a single server). Cloud hosting allows sites to easily increase server needs when the situation calls for it. Fortunately, DreamHost offers three cloud hosting tiers—512MB RAM Server, 2GB RAM Server, and 8GB RAM Server—that come in Linux and Windows varieties. DreamHost has excellent packages that start at $4.50 per month (for 512MB of RAM, 100GB of storage, and unlimited monthly data transfers) and top out at $48 per month (for four CPU cores, 8GB of RAM, 100GB of storage, and unlimited monthly data transfers). DreamHost’s specs aren’t quite as powerful as those offered by Arvixe, but it’s a far more dependable service. As a result, DreamHost is our Editors’ Choice for cloud hosting services. If you’re looking to get into the web hosting business, but don’t want to deal with infrastructure matters, reseller hosting is the way to go. Unfortunately, DreamHost doesn’t offer dedicated reseller plans; you can resell your own server space, but only if you add other domains to your own. Check out DreamHost’s reseller FAQ page for more information. If you really want to dabble in reseller hosting, I recommend Hostwinds, the category’s Editors’ Choice. Hostwind’s plans, starting at $25 per month, have unlimited email, storage, and data transfers. On offer are dedicated and VPS packages of both the Linux and Windows variety, as well as shared hosting, which is limited to Linux. The servers have the same RAM and storage amounts as those that Hostwinds supplies directly, which is not always the case. Hostwinds also lets you apply your own branding to the servers you rent, and it supplies 24/7 tech support, too. Overall, I like DreamHost’s user interface—it’s simple and well laid out and made getting started on my test site easy. Instead of going the HostGator or iPage route with cute, screen-cluttering icons, DreamHost offers a tree of menu options on the left side of the screen. It’s easy to find billing information, manage domains, and view the settings for VPS and dedicated servers. I had no trouble finding the security options or the third-party app marketplace. DreamHost now offers the Remixer website builder, which lets you start building your site right away. You no longer have to endure a long wait time as your Dreamhost account gets approved, as you once did. It’s a great addition. Remixer comes with dozens of themes that you can alter using its simple drag-and-drop fucntionality. I found it incredibly simple to add photos (my own, or those from DreamHost’s royalty-free gallery), text, and video. You also have the option of installing third-party applications to your account, such as concrete5, Joomla, MediaWiki, Piwigo, and, of course, WordPress. DreamPress lets you install any plug-in that you desire; Pagely and WP Engine, on the other hand, restrict you from installing a small number of plug-ins that may impact your site’s performance. That said, TMDHosting remains the PCMag Editors’ Choice in the category. TMD boasts a pre-built environment comes with many WordPress-friendly features, including live malware protection and curated plug-ins that are designed to enhance your experience. TMDHosting’s specs are similar to 1&1’s, but differ in one significant way. TMDHosting offers unlimited storage across the board. As a result, the company is the new Editors’ Choice for WordPress web hosting, knocking 1&1 from the top spot. For more on the fantastically popular content management system, you can read my story, How to Get Started With WordPress. DreamHost offers antispam on its email, but no antimalware services. However, I like its attention to other aspects of website security. The control panel has an easy-to-find link for editing the .htaccess file to control access to the site or to set up a password. For parts of the site that shouldn’t get indexed by search engines, you can block spiders. You can set up cron jobs (automated batch jobs) to schedule tasks and monitor processes on the site. DreamHost also offers free SSL certificates, which is a must-have addition for people who sell products online. If you are a developer or manage a software development team, you will like the fact that DreamHost comes with Subversion, which can help you manage your source code files. Most web hosting providers restrict you to whatever applications are listed on its software marketplace. Version-control tools such as Subversion rarely make it onto these marketplaces, so it’s nice to see the option to set up your own repository. Of course, that’s assuming you don’t just use Git repositories for your code. What if you don’t really want a website or a blog, but just a place to store your files? DreamHost also offers DreamObjects cloud storage plans, starting at 95 cents per month for 40GB and going up to 20TB for $299.95 per month. For this testing, I use a website monitoring tool to track my site’s uptime over a 14-day period. Every 15 minutes, the tool pings my website and sends me an email if it is unable to contact the site for at least one minute. 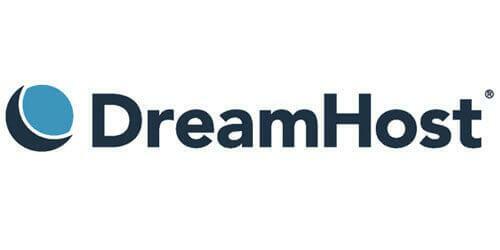 The data revealed that DreamHost is incredibly stable. In fact, of the web hosting services I’ve reviewed, it’s only one of a handful that went down zero times. You can count on DreamHost to be a rock-solid foundation for your website. DreamHost offers email and ticket-based support, as well as online chat. Like Arvixe, DreamHost doesn’t offer a way to call customer support, which is too bad; sometimes you just want to deal with a human being. That said, the chat support is quite good. I tried it on a weekday afternoon and evening. In both instances, I waited less than a minute before someone fielded my questions. Thanks to its extensive tools, including useful website-building software, security options, a generous money-back guarantee, and unlimited storage, bandwidth, domains, and email, DreamHost is a top pick, and a PCMag Editors’ Choice for web hosting services. It’s also our first choice when it comes to cloud-based hosting. Founded in 2010, they’re owned by the conglomerate InMotion Hosting. They are headquartered in Virginia Beach, VA, and they have two U.S. data centers – one on each coast. They also use solid-state drives on all plans, which (it’s claimed) can deliver up to 20x faster than more traditional mechanical hard drives used the by competition. Best Website Hosting? A bit bold claim, but are they truly worth it? 20x is a bold promise. Do they back this up? To find out, we set-up a new basic WordPress website on the Web Hosting Hub ‘Personal Web Hosting Plan’ in June of 2015. In-depth performance stats including uptime and speed can be seen here (click ‘History’ to dig deeper). In order to provide an unbiased review, we also cross-referenced a few others sources to do a complete ‘background check’ into what other users think as well. But does the data live up to the hype? While our experience didn’t show 20x faster, their page loading times were about 34.0% faster than the competition (785ms vs. 1185ms). Not quite the fastest, but still very good considering site since even a one-second delay can cause a 7% decrease in conversions. Web Hosting Hub provided pretty good customer support, connecting with us in under three minutes (plus an additional five to verify). There was a bit of downtime and lag between responses though, so it wasn’t as quick or concise as many others we’ve experienced. Overall, a positive experience. Our background checks confirmed as much, revealing that the majority of other customers are also satisfied with Web Hosting Hub’s customer support. It’s so easy (“How easy is it?”), that even the LEAST technical person you know could figure it out (so, probably your mom). Right on their signup page, you can select to install WordPress as your website/blog content management system or Prestashop for eCommerce. After a simple click, they take care of all the heavy lifting and will configure everything for you. Currently, have a website hosted somewhere else? Warning: You tech geeks are about to have a nerdgasm. Web Hosting Hub is a big believer, offering a full 90-day money back guarantee (one of the few offering that extended term). That means if you’re considering giving them a chance, you have an almost risk-freechance to ‘test drive’ their services for a full three months. That’s great news if you’re worried about committing to a web host only to later find that you dislike their services and features. Traditional data centers run Computer Room Air Conditioners, also known as CRACs, 24/7. This method allows for hot air to be cooled and then recirculated, but it burns more energy than is needed. Web Hosting Hub provides a decent list of positives. Speed was good. And support was decent too. 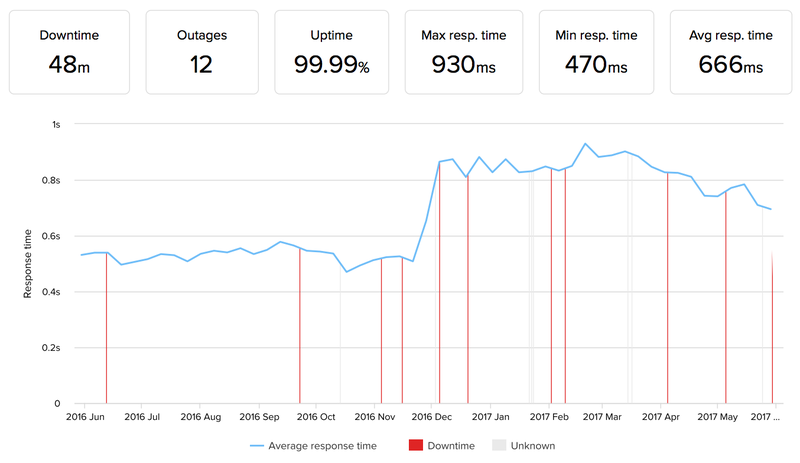 Our twelve-month testing process revealed that Web Hosting Hub has an average uptime of around 99.92%, .13 faster than the industry average (99.79%). Web Hosting Hub likes to keep things simple, offering ONLY shared hosting options. That provides a few benefits, like their fast signup process. But if everything goes well and your site takes off, that might pose a few problems. Sure, that low $4.99 monthly pricing seems like a great deal. BUT you gotta sign up for a full three years to get it. Wanna just start with month-to-month? You can’t. Twelve months is the lowest they’ll go, and that price jumps up to $6.99 monthly (paid in advance). 4. Extra Fees for Backups & Security. Boo. For example, sometimes, plugins don’t play well together. You upload a new one and hit Activate immediately without checking to see what versions of WordPress (or your theme) it’s been tested for. All of a sudden… nothing. Site go bye-bye. At least you can easily recover from this mistake. God forbid hackers exploit security breaches and inject malicious code. Good luck cleaning that out. Most other web hosts will also throw in security features for free, as part of their core offering. But again, Web Hosting Hub nickle-and-dimes you for anti-virus and anti-spam protect, and more. The prices themselves aren’t that terrible. But it’s more the principle of it that’s frustrating. In theory, this is a positive because it’s done for security. However, it can still be frustrating if you’re trying to get things up-and-running and are located overseas. Spark plan: This plan costs $4.99 per month. It supports 2 websites, 10 MySQL databases and 25 sub domains. Dynamo plan: This plan costs $8.99 per month. It supports unlimited websites, unlimited sub domains and unlimited MySQL databases. 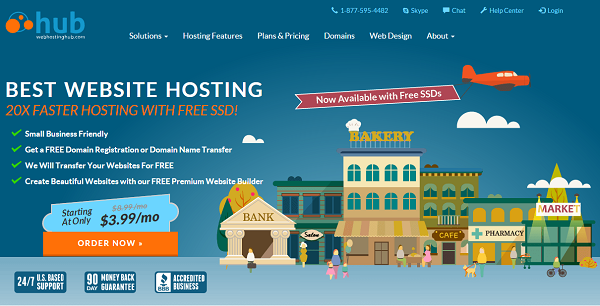 All their hosting plans come with a free domain name, are powered by SSD and come with SSH access. Ease of Signup: Very easy, one-pagesign-up process. One of the best.